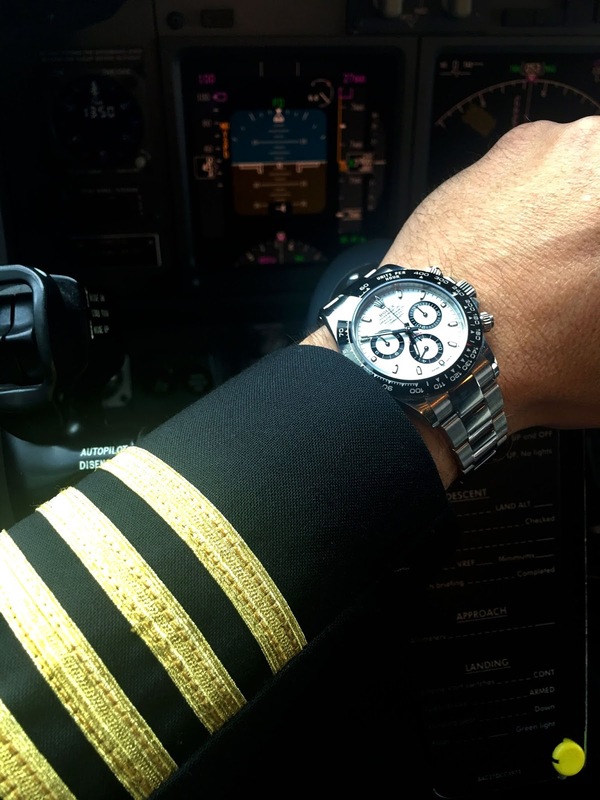 Captain Danny Crivello has been writing fascinating stories on Jake's Rolex World for a couple of years now. Captain Danny also drives Jake's Rolex World Twitter account and has been doing a great job !!! Captain Danny is going to be taking us on a special Rolex Twitter trip next week, which, from what I understand, will be filled with some pretty fascinating surprises...so defiantly stay tuned!!! Just to be clear, Captain Danny is a pilot for Delta Airlines, so if you are flying Delta, you might hear him briefing you for takeoff (with French accent ;-): "Good afternoon ladies and Gentlemen. This is Captain Crivello, and we are preparing for takeoff. Please make certain to fasten your seatbelts..." You get the idea. 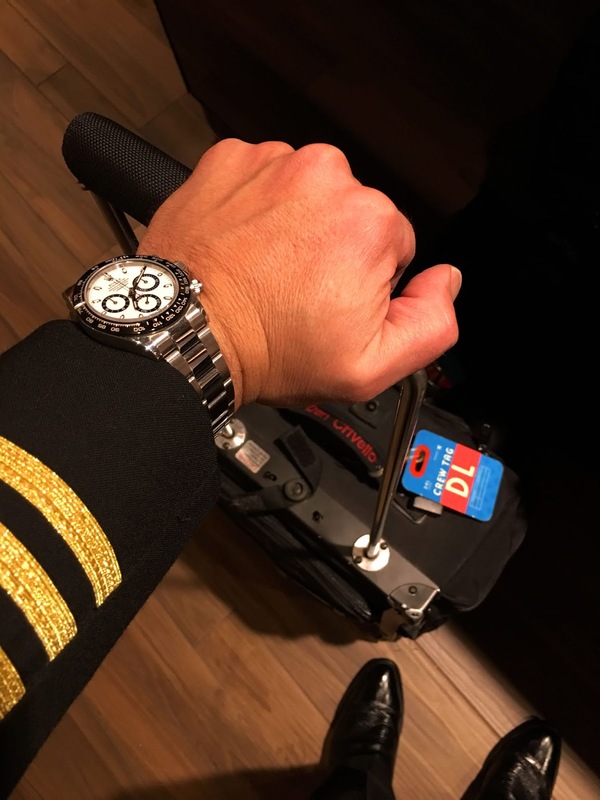 Captain Danny is a bit of a Rolex fanatic if you ask me. His latest edition to his collection is pictured above and below as we see he got a hold of a ceramic stainless steel Daytona. 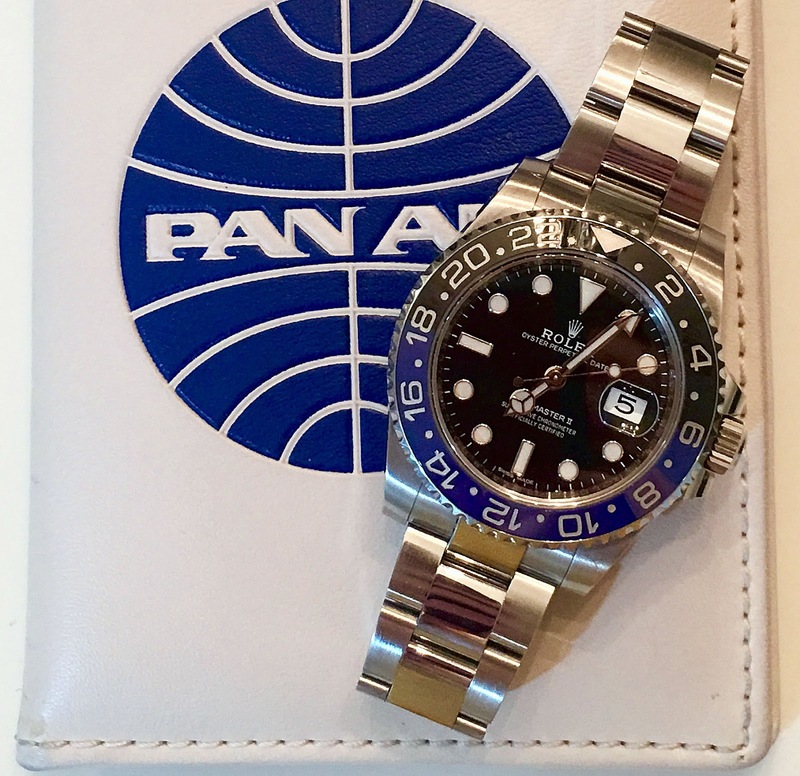 Danny pinged me earlier today and showed me the photo below and said: "I never noticed how the blue of my BLNR matches exactly the Pan-Am blue of my wallet." 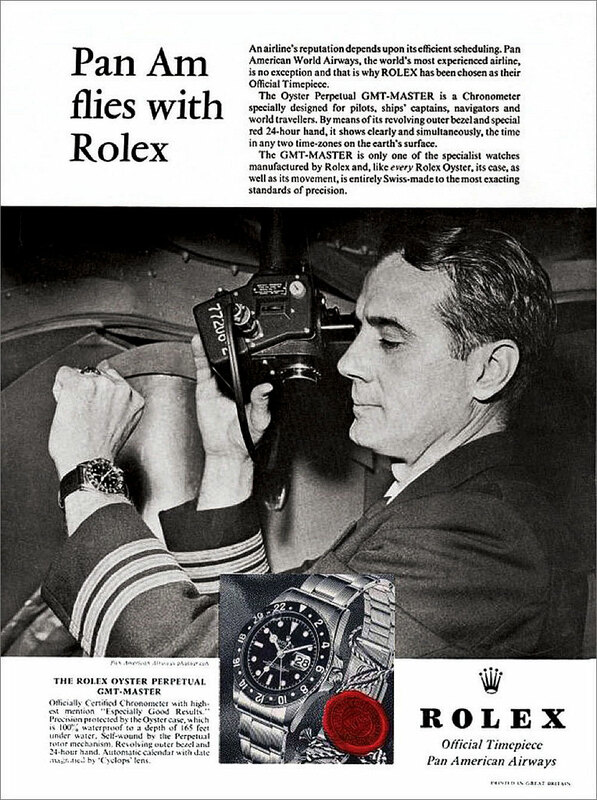 Just for frame-of-reference, Rolex has a long history with being a favorite watch of Airline Pilots as well as Test Pilots and NASA Astronauts. 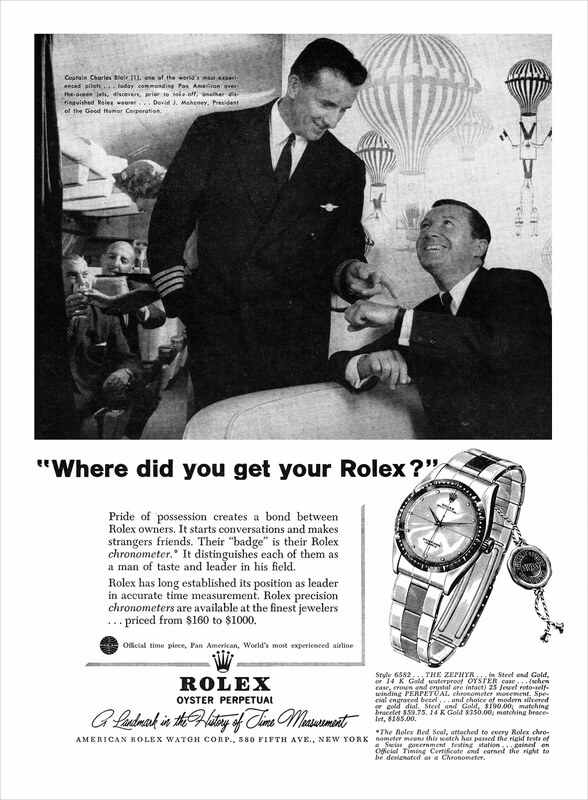 Rolex originally designed the GMT-Master for PAN AM pilots and navigators so it has a pedigree steeped in the air. 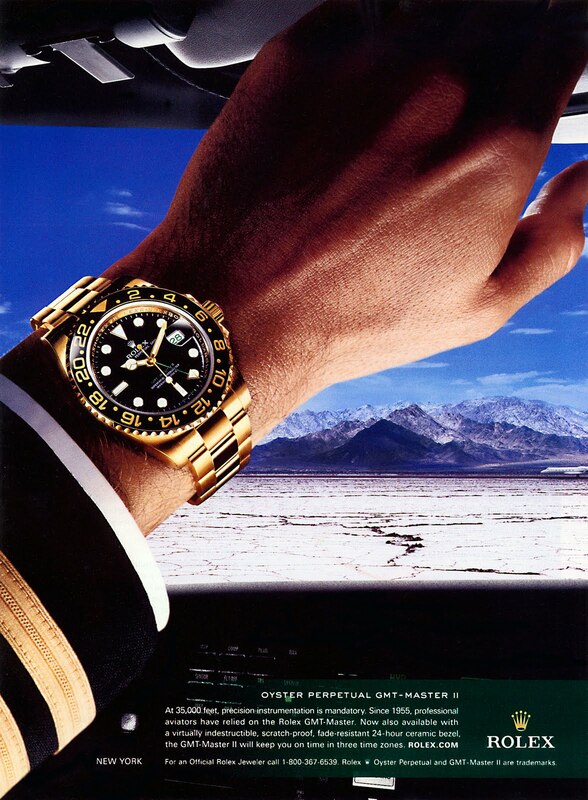 Below we see a classic PAN-AM vintage Rolex GMT-Master add. 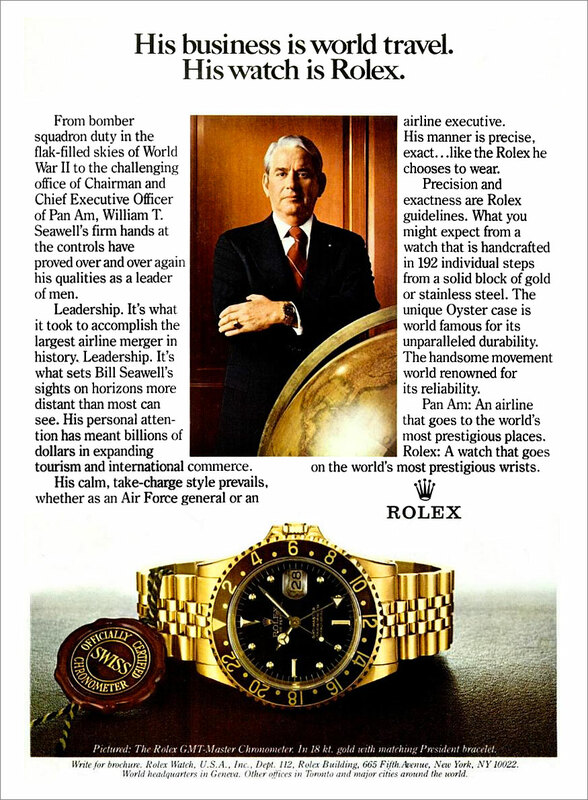 In the vintage 1981 Rolex ad below we see Rolex tell General William Seawell's story. 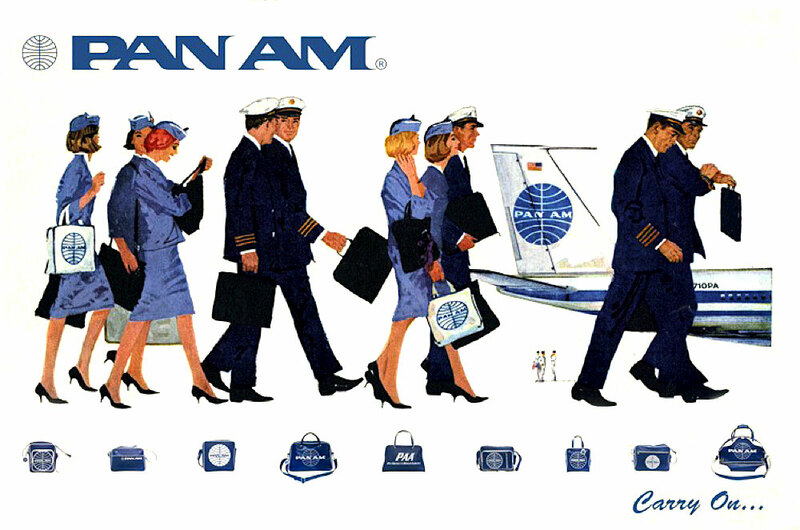 Seawell was the CEO of PAN AM Airlines. 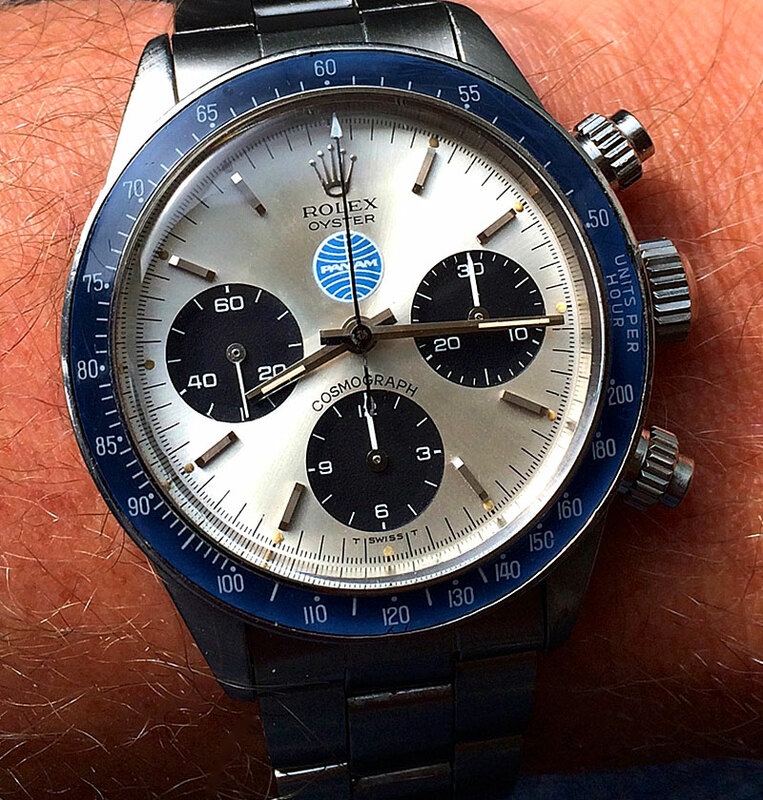 In the photo below we see an extremely rare PAN AM Rolex Daytona which appears courtesy of Philip.